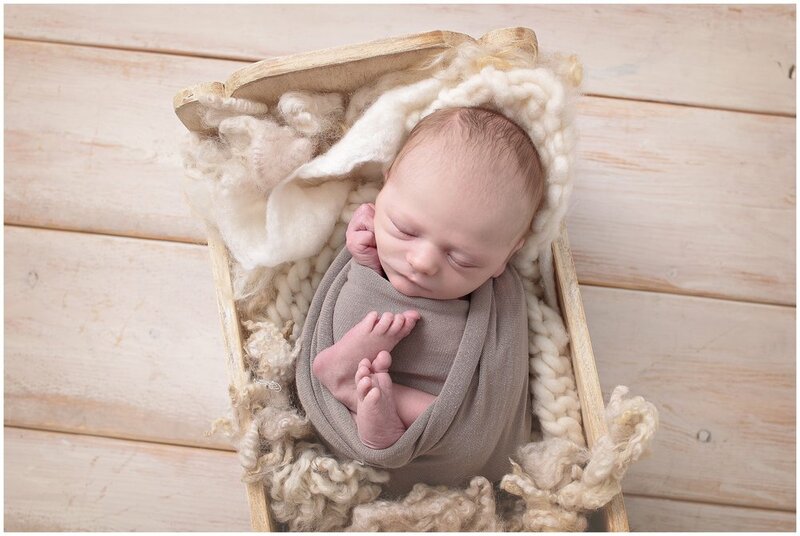 Ryder was my last newborn of 2017 at my Monroe, Washington Photography Studio. I am lucky to have a friendship with his mama and she is amazing. She was open to anything and I was excited to try out a new bed I have just received from the very talented Bailey's Knits. www.facebook.com/baileyknits1 We selected to go with a neutral color palette with a mix of light and dark as well as keeping it simple. He didn't make a peep his whole session.